This is the new Shadow Tech PIG0311-GS Short Field tripod. Made specifically for operators and hunters who primarily observe or shoot from sitting & kneeling positions. This short tripod packs smaller and sheds a pound of weight, compared to the standard PIG0311-G full size tripod model. If you don't anticipate taking a standing shot on an animal, then there is no need to carry a larger/heavier tripod. Pack light, pack smart. 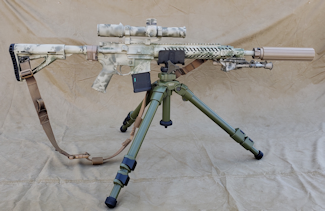 This no-nonsense field tripod designed for the active shooter and outdoorsman was meant to get dirty, be thrown in trucks, and be used outside. 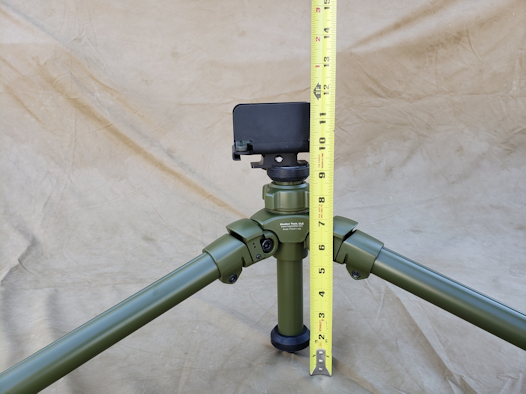 Paired with a direct mounted HOG Saddle or PIG Saddle, this tripod can do almost anything a more expensive tripod kit can do and at a fraction of the cost. 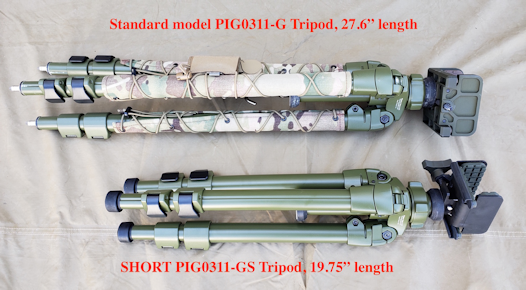 PIG0311-GS Short Field Tripod was born out of partnership with SLIK (based on SLIK DX700PRO Tripod) and Shadow Tech. The tripod has been tested with various rifles including several 50 cal rifles (Barrett M107 & McMillan Tac50) with great results. The short center column allows the shooter to get all the way down to a 9.25” high prone position. 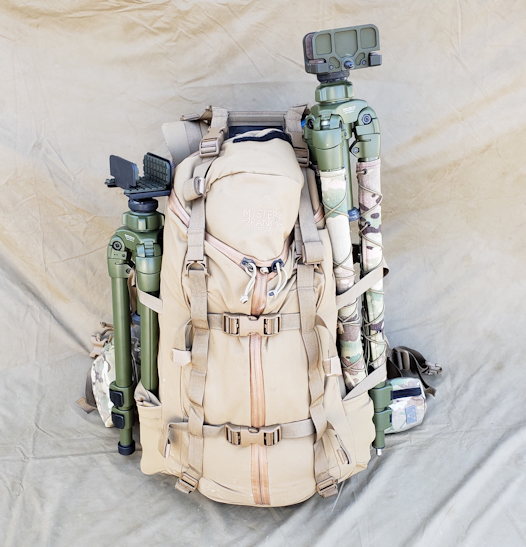 A removable, load bearing hook has been added to the bottom of the center column to hang weight, such as a backpack. The added weight will greatly increase tripod stability. The center column can fully rotate 365 degrees. This is a great feature for those who intend to direct mount a saddle to the PIG0311-GS tripod. The tripod’s feet incorporate interchangeable rubber or spiked feet. 26 lbs heavy duty weight rating. Lightweight magnesium body with aluminum legs. Three section extending legs with cam levers. Coated in Olive Drab (OD).